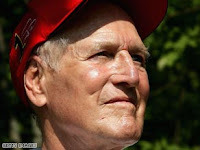 Baby Boomer Davy's Locker: Paul Newman dies at 83! 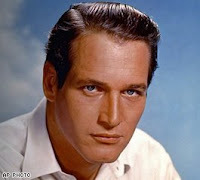 Paul Newman dies at 83! I know this is all over the Internet, but I just had to put my 2 cents worth in. Paul Newman was, without a doubt, my favorite actor of all time! He was just one of those guys who, even though he was a heartthrob in his youth, even men could love him. You couldn't help loving his "coolness". One of my most favorite moves of his was "The Long Hot Summer", with his wife, Joanne Woodward. If you've never seen it, rent it. His characters in his movies were someone women loved to look at and men wanted to be. Even in recent years, his acting seemed to get better in spite of his loss of that youthful face. We all, especially the Boomer generation, have truly lost a giant of our times! This video from his "Newman's Own" website shows what kind of a man he was. Paul Newman represented a period in our lives when acting was a real serious craft. We were drawn into the emotions of the characters and the story lines. He was truly a class act! Thanks David for this tribute to Paul Newman. It is always great to see that an actor that can think of others more than himself by giving to charities. Newman will be remembered for the great personality he was, the great movies he made and the unselfish financial help for others. It's soo sad. So many wonderful people are leaving us.